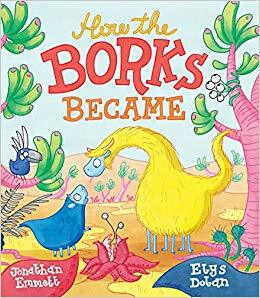 In this delightful and instructive picturebook (dedicated by the author to Charles Darwin) Jonathan Emmett has written his own origin of the species... the species here being the Bork. You might not have heard of Borks before but fear not, Jonathan is an expert. Borks live 'on a faraway planet, quite like our own Earth', and while some new born Borks look like their parents, others are 'surprises'. No two Borks are exactly the same - they are all a little bit different. Some have more legs than others, some have horns, some are tall while others are short. Jonathan explains that Borks haven't always been the way they are now and he takes us back in time to explain just how they have changed and also to explain why some survived while others didn't. The story of the evolution of the Borks is skillfully told in rhyme which makes it great to read out loud. 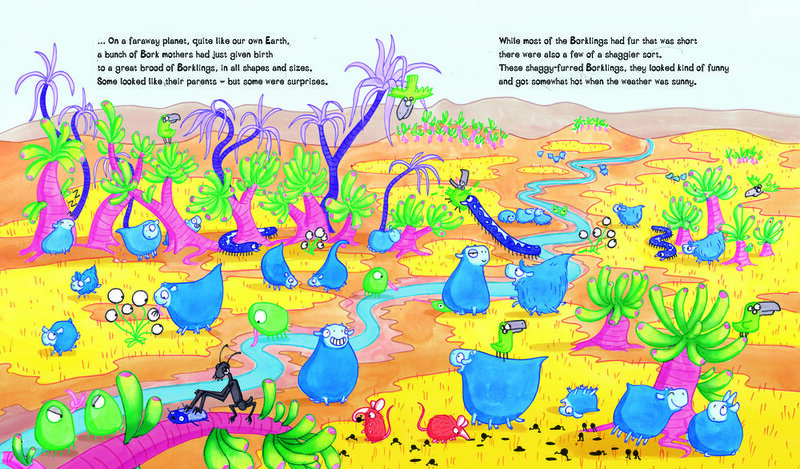 Not only will children be entertained by the story of the Borks but they will also learn about evolution of creatures (and natural selection) which will make it a useful book to share in the classroom. Elys Dolan's artwork perfectly compliments Jonathan's text. 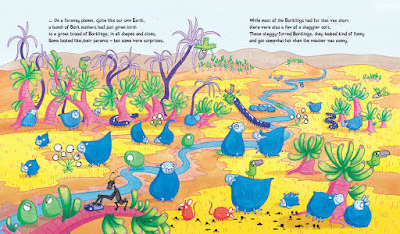 It's bright and eyecatching, and gives the reader lots to look our for on each spread. Brilliant review, Damian. Saw kids poring over this in a school recently. They were loving it.